Infused with the spirit of The Ultimate Force (TUF) and designed to strike fear into the heart of the enemy, the durable and lightweight FX504 is the first laptop in the TUF Gaming family. A powerful, portable, and enduring all-rounder, FX504 is able to play the latest games and multitask with ease, while at the same time providing unmatched toughness and durability to give you immersive gaming experiences for years to come. The patented Anti-Dust Cooling system provides the necessary cooling for graphically-intense gaming sessions, and prolongs the lifespan of the machine by expelling harmful dust particles and dirt. Whether you're using FX504 for extended gaming or long typing sessions at work - it'll take it in stride thanks to a 20 million key press lifespan, which doubles the industry standard of 10 million key presses. FX504 is designed to impress - choose from four different designs to match your personality and style. FX504 is tough beyond standard and has everything you need for work or play. FX504 was created for intense gaming and efficient multitasking, and it looks the part. Show the world that you're a gamer, or go for a professional, elegant look for work - FX504 is available in four different designs to suit your personality and style. 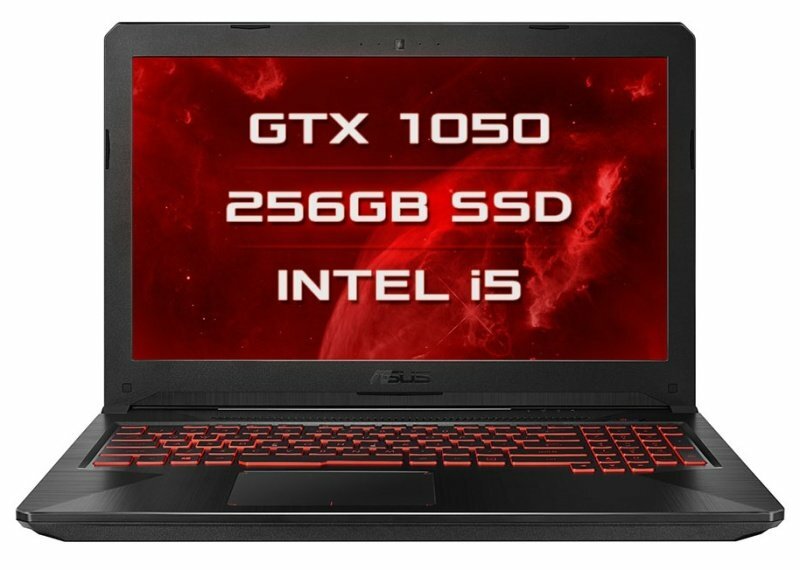 Its metallic Premium Steel finish even features a glowing red ASUS logo - the perfect embodiment of toughness and gaming.